Mary Kay Keller, MPA, PhD, CEIM, CFLE: Fathering in the News! 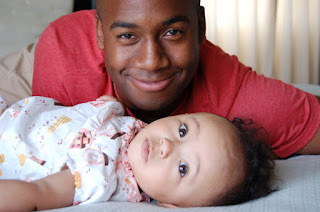 Why is a focus on Fathering so Important? Not very often I hear from mothers who feel resentful that the focus is now on fathers. As if mothering never quite received its true recognition. I have to say as a woman and mother I do agree. 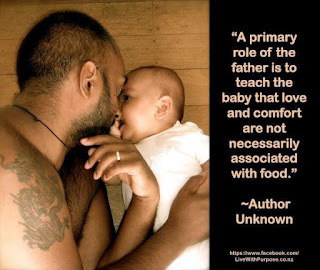 Mothers were the central focus of attachment and bonding studies for almost 100 years, leaving out fathers completely. However, the interpretation of the research was often viewed in a negative light, such as, how much damage we were doing to our children because we were not doing it right. Mothers of the year never seem to hit the news media, indeed only the ones who killed or abused their children were often in the spot light. The reverse is true of fathers. For many years working in direct services, professionals know that the killing of women and children by men is so common placed that it rarely makes the front page of the news. WHY? I believe that the world will become a better place when we change the way we socialize our males. It truly is that simple. Research indicates that men who spend more time caring for their infant's experience an increase in the bonding hormone, oxytocin. The hormone that makes us bond with each other as human beings. Through this bonding and connection we become attached to each other. Who can't see where t his is leading us to? Further more, there are many fathers who have never been acknowledged for their contributions in raising their children. Many times men are doing it all too, only they are quiet about it. Fathers who have been in both roles due to an illness or disease in the mother are not unusual. They are however ignored and unsupported. So here is fathering in the news today, four great articles, thanks to my Google Alerts! Read on and enjoy! Today's Post is from the HuffingtonPost Parents! What a great article! Thank you to Christopher A. Brown. "According to the Pew Research Center's recent Parenting in America study, only 39% of dads say they do a "very good job as a parent." That's compared to 51% of moms who say the same about their own parenting. Why, then, do 6 in 10 of dads lack confidence in their parenting? One reason might be dads' lack of confidence in how well prepared they are to be dads. National Fatherhood Initiative's Pop's Culture study -- the most comprehensive national study ever conducted on dads' attitudes on fathering -- found that only 54% of dads "agreed" and 22% "strongly agreed" that they were adequately prepared for fatherhood when their first child was born. Nevertheless, dads have the ability to learn to be better dads. Unfortunately, they lack the kind of help-seeking behavior of moms when it comes to parenting. In a way, dads are often their worst enemy when it comes to seeking advice and guidance on how to be a good father. 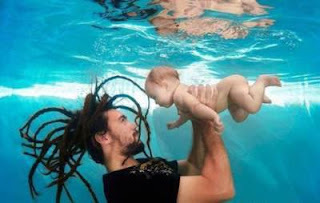 As the Pew report on the Parenting in America study states:"
"As you know, fatherhood is a joy! The longer I am a dad, the more I’m humbled about the role. I talk to more and more men who are having difficulties with their kids, and they really aren’t much different from me. They try to do the right thing, they’re highly devoted to their families, and yet for some reason their kids make a wrong turn." Click here to read the full article! They’re so totally hopeless their main role is babysitter rather than parent. They put nappies on upside down, think French fries are a vegetable, and can never remember what pick-up time is for kindergarten. Watch him leave the house without the nappy bag! Marvel as he forgets to pack the school lunches – again! See him struggle to put the pram up!" Every child needs a strong male figure in their life and one Arizona organization is working to make sure those men are prepared for the responsibility. Phoenix-based organization Father Matters aims to give fathers in socially- and economically-deprived communities a strong mentor in their lives and teach them how to become a mentor of their own. Vance Simms, a life coach, founded the group in 1997, after Simms noticed the “tremendous need” for fathering, according to the organization’s website. Simms grew up without his father and wanted to be a presence in the lives of his own five children. The organization does not just target men: Father Matters is dedicated to providing tools to women in order to improve the well-being in their homes and communities.